Physique Builders: A great white that’s brimming with very high quality protein, gut-friendly bacteria, testosterone boosting zinc and bone strengthening calcium. Still controversial, some studies have found an inverse relationship between dairy consumption and body fat. Physique Killers: Sugar and processed fruit is yogurt’s (and your midsections) arch nemesis. Flavored versions can have enough of the added sweet stuff – up to 80% of its total calories – to cause unwanted blood sugar surges, a scenario that triggers the release of extra insulin, which encourages the body to store fat. More gooey jam at the bottom also means less protein. 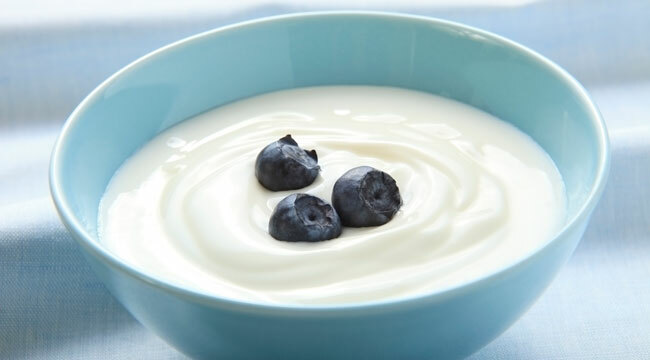 Wise Play: Stick with plain yogurt and add your own fruit, if needed, for a bit of more nutritious sweetness. With only 40 calories in half a cup, antioxidant-rich blueberries are a good side-kick. If you just can’t bring yourself to part with the sweetened stuff, get your fix post-workout when increased insulin levels are favorable for muscle growth.